Cellulant, the payment platform for businesses in Africa, is betting on blockchain to improve transparency, trust, and efficiency in Africa’s agricultural sector. The use of blockchain to transform payments across Africa has dominated recent press releases. It is easy to see why: Africa’s fragmented payment infrastructure. 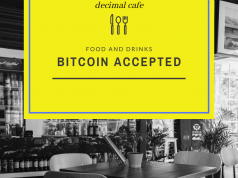 Many startups such as Bitpesa are looking to integrate mobile payments with bitcoin to ease the process. 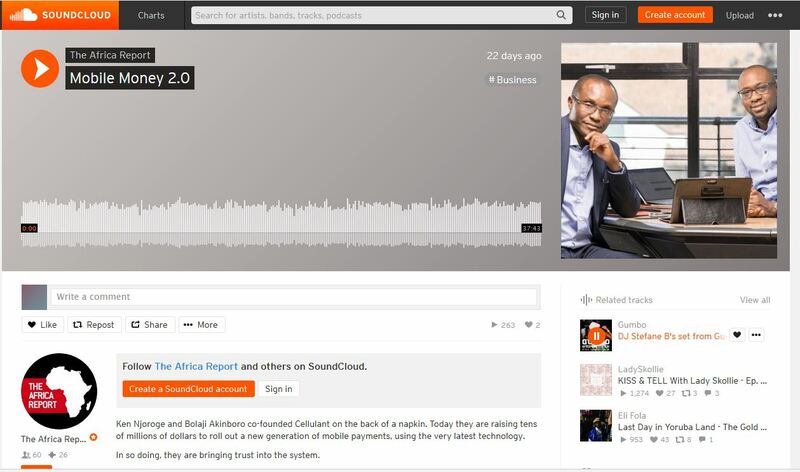 Speaking to the Africa report podcast, Bolaji Akinboro, the co-founder of Cellulant explains that the government of Nigeria was facing a problem with the disbursement of product subsidies to farmers. 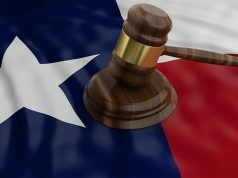 Corruption riddled the process and it became inefficient. The other challenge was also ensuring and tracking whether the subsidy was used for the right purpose. The subsidy worked in such a way that the government bought the inputs and gave to farmers at reduced market prices. Subsequently, this enabled more farmers to buy. Historically, the government usually managed the whole process. Bought inputs, designed the distribution networks and all. The programme led to a lot of corruption since the distribution was taking place through local government associates, local leaders and was not transparent. Subsidies never reached the people intended, eaten by middlemen. Cellulant Pitch to government officials: digitize the whole process and bring in private sector players who are incentivized to make the process better. Cellulant now disburses the subsides digitally through mobile wallets and the farmers collect the inputs at local agro-dealers who are private sector business people. So the subsidy moved from being a physical product to a cash (digital form) subsidy that is available to local agro-dealers. So if the product costs say $30, the farmer already has $10 subsidy from the government and the farmer needed to contribute the remaining $20. Efficiency, transparency and food production increased. Cellulant even began doing advisory services in Liberia, Afghanistan, and Togo and hopefully other governments are joining the network. 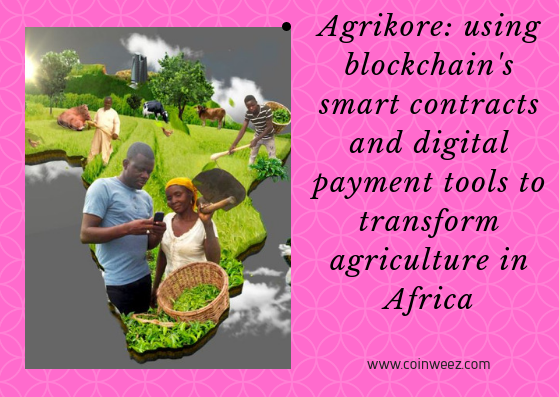 Cellulant later launched a new blockchain platform called Agrikore to further their mission of streamlining the whole agriculture network and not just the subsidies. First problem: building the database of the customer (farmer): Cellulant built the database- filling of physical forms. They hired up to 800 people working 6 months to collect the data via enumeration forms. However, the data collected contained several errors. Secondly, there was a problem of viable merchant network: there was no private sector participation. Government controls everything. There is lack of organized private sector prayers. RELATED: PLAAS to use blockchain to improve farm management in Africa. The Agrikore is built on blockchain architecture. The reasons for choosing blockchain are clear. Firstly, there is no changing of records (in Africa records keep changing), be it land, personal info-biometrics etc. Farmer database now becomes a wallet on the blockchain. All wallets are chained to a block (the subsidy block). No one actor can go back and change the information without the others knowing and approving. Furthermore, all updates made are seen across the network. This ensures a single source of truth that is the same for all participants. In the original construct, the government was the only single source of truth. It had a central repository of all the data. Traceability in the national food supply chain is now evident. It is possible to track all food chain and ensure ethical supply chain and proper compensation. Selling to international markets also becomes easier. for example, the global retailer, Walmart recently announced that it would require its green leafy suppliers to use blockchain technology. This would ensure the traceability (farm-to-fork) tracking system. Another benefit is that since everyone in the ecosystem now has smart contracts; it is easier for banks to lend to small operators-farmers. Before, the bank had to go and figure who is the farmer, who is the merchant. The first set of loans are going in the network in October 2018. The project began in Nigeria agriculture sector with the aim to expand across Africa. It will be interesting to see how blockchain and specifically smart contracts can contribute to not only agriculture but also trade in the continent. 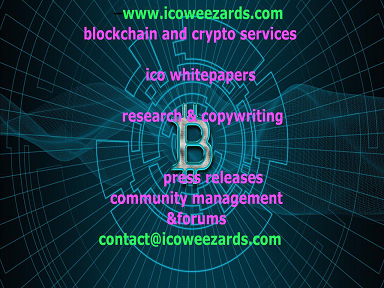 Already there are ideas about using smart contracts in agriculture financing whereby financiers can invest in farmers in any part of the world and get to share profits. Enabling different parties to come together in a fair and agreeable way could help solve problems such as liquidity, market access among others. Agriculture would fit very well in smart contracts economy. Other players such as PLAAS are also venturing in the sector. 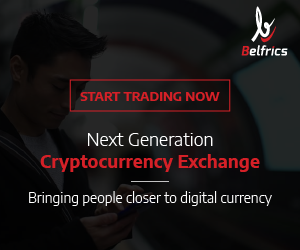 Making it easy to exchange from any fiat to cryptocurrency and back would seem to open up more opportunities. 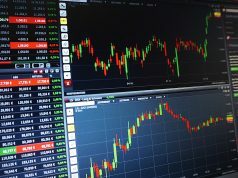 Many cryptocurrency exchanges are being launched across Africa to address the problem. Hopefully this move will open up more opportunities for trade across the continent and harnessing more opportunities brought about by blockchain technology.